Arizona lawyer—and our arts competition music winner—Stu De Haan made a devilish argument about free speech and freedom of religion. If politics and religion are two topics we should never discuss in polite company, the Phoenix City Council seems like the ideal place to address both. This week has seen a firestorm of hellish indignation over the news that a group of satanists petitioned the Phoenix city clerk’s office to offer the “invocation” at an upcoming City Council meeting. After reviewing the request and the fact that municipalities cannot be in the business of “picking winners and losers” when it comes to deities, it OKed the request. Cue the choirs, celestial and otherwise. Read a news story about the devilish quandary here. To the surprise of almost no one, there is not unanimous agreement with the decision—though the February 17 meeting will likely be standing-room only due to the controversy. I confess I’m surprised by the uproar. I’ve been in that chamber many times, and I’m pretty sure I’ve spotted Lucifer at numerous zoning hearings. And who hasn’t smelled the distinct odor of sulfur as countless variance requests are rubber-stamped? Or maybe I need to get my eyes and nose checked. Wherever you stand, this is a fantastic lesson in the First Amendment, playing out right in the heart of our state. You’re welcome, America. 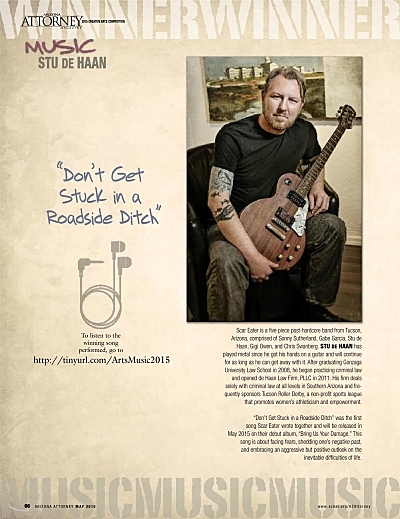 Stu De Haan and his instrument in Arizona Attorney Magazine, May 2015. And yes, there is an even more intimate legal angle to this. 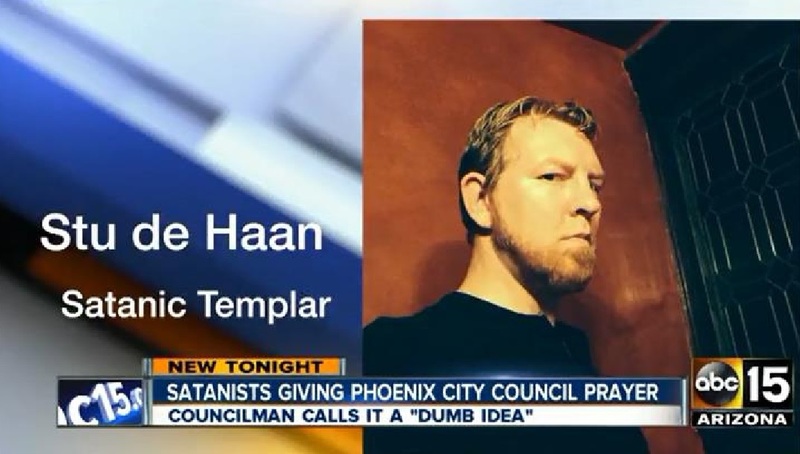 Spokesman and legal adviser to the Satanic Temple (and a “Satanic Templar”) is Arizona lawyer Stu De Haan. And here at Arizona Attorney Magazine, we are a big fan of him—and his music. You can read more what I wrote about Stu, and listen to “Roadside Ditch,” here. A final thought: It bears noting that Stu and his fellow Satanic Templar Michelle Shortt are traveling north from Tucson to deliver an invocation—and make a point, I suppose—because the Tucson City Council gets to the work of its meetings without bothering with a prayer of any kind. No muss, no fuss. 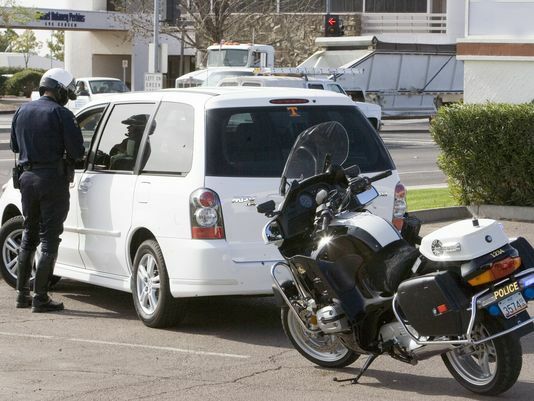 A new Phoenix Compliance Assistance Program aims to assist residents whose civil fines have led to the loss of a driver’s license or worse. This week, the City of Phoenix and its Municipal Court announced a new program that aims to counter situations that have too often have led people into financial straits and even into the justice system. The past year has provided numerous examples from around the country in which residents faced financial ruin and increased interaction with police because of an accumulation of unpaid tickets, fines, and penalties. But these issues didn’t just face residents of Ferguson, Missouri, or other newsworthy places; they face residents of Arizona cities too. The Phoenix program is a salutary effort to address those problems; you can read more about it here. 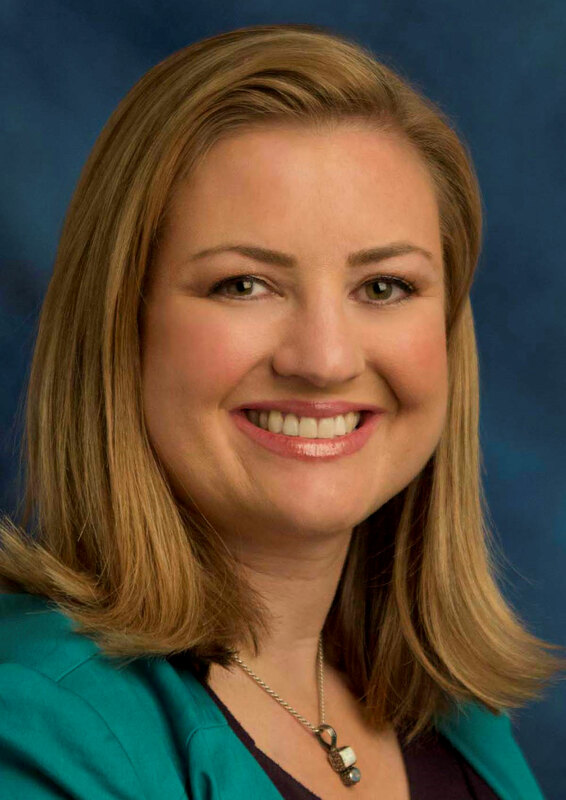 Quoted in the story and a key driver of the change is Phoenix City Councilwoman Kate Gallego. If the name Don Taylor sounds familiar, it may be because he’s a longtime lawyer, former prosecutor, and even a story-subject in Arizona Attorney Magazine. In 2007, we spoke with him as he worked at the International Criminal Tribunal at The Hague. Congratulations on the new program. Attorney B. 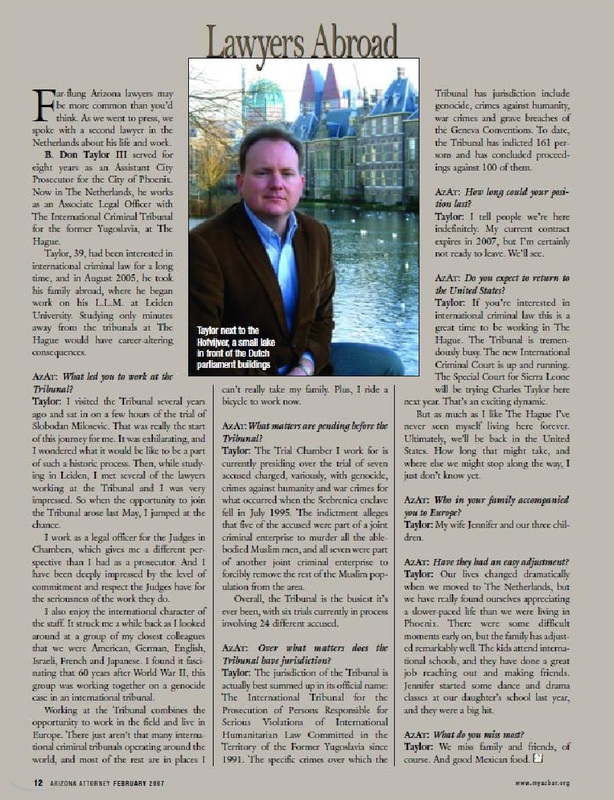 Don Taylor in the February 2007 Arizona Attorney, describing his work at The Hague. Next Tuesday, February 2, the State Bar and 12News are co-sponsoring a lawyer call-in program that may benefit someone you know—or it may even benefit you! The topic for Lawyers on Call that night will be estate planning, wills and trusts. It runs from 5:00 to 7:00 p.m. that evening, and the call-in number is 602-258-1212. More detail is here. After the event, I’ll share the names of the lawyers who generously gave of their time at the event. State Bar of Arizona dues are due on or before Feb. 1, 2016. On the very top of the front cover of Arizona Attorney Magazine’s January issue (the space we call an eyebrow), we reminded Arizona Bar members of an important deadline: February 1 is when the annual statement and dues are required to be filed. Because everyone can stand another reminder (and because I suddenly remembered my own California Bar dues this past Friday! ), I share the news with you again. All the detail, and a place to get started online, are here. Our January magazine ‘eyebrow’ shares the dues news. Paying dues may be the least-enjoyable part of any membership. But it sure makes February 2 feel better. 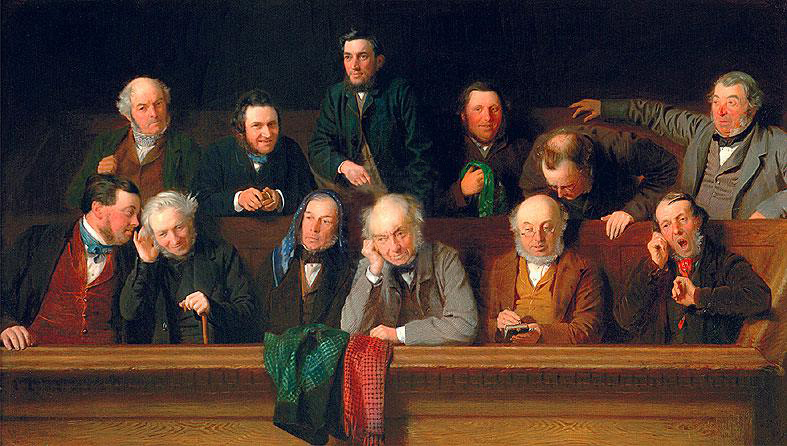 “The Jury” (1861) by John Morgan: Persuading a jury is one important quality of an expert witness. What else do you value? 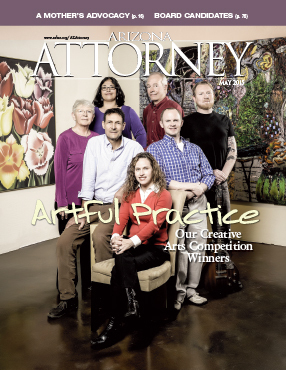 We’re working hard on our March issue of Arizona Attorney Magazine, which largely will focus on expert witnesses. So important and relevant is the topic, in fact, that we are building an entire separate magazine to hold the content. In a historic move for us, that special issue and our regular March issue will by “polybagged” together and mailed to readers. I think you’re going to like it! 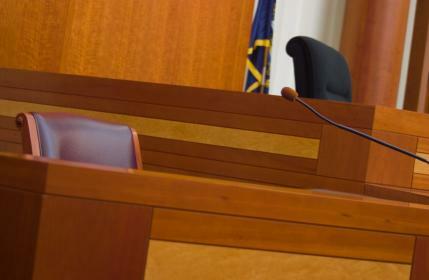 The one great thing an expert witness can do to ensure their value to you and your case. The one sucky thing an expert witness can do that is guaranteed to send you into paroxysms of anger. Your quick comments and/or anecdotes (without naming names, I’m assuming) are welcome in the comments section or via email to me: arizona.attorney@azbar.org. I’d appreciate hearing any insight you can share. The witness box is only one place an expert can demonstrate show his or her value. 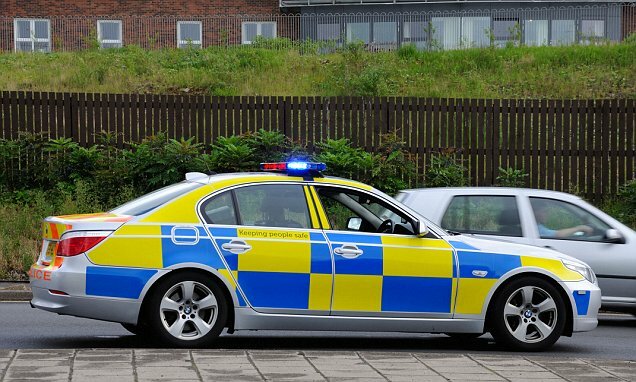 British police car in its high-visibility “checkered livery.” And it’s not just loud on the eyes. How do you fix a crisis in policing? What do police sirens really sound like? On this Change of Venue Friday, I offer a news story in which English police officers blared their car sirens to allow schoolkids to answer the difficult question: Do they sound like “nee-nah” or “woo-woo”? If you’ve watched any British movies, you may have wondered yourself what the hell is up. This article—and the schoolkids—try to answer your question. It involves loud sirens, student voting, and a tongue-in-cheek apology by the police. All of this, I’m guessing, was mentioned somewhere in Magna Carta. 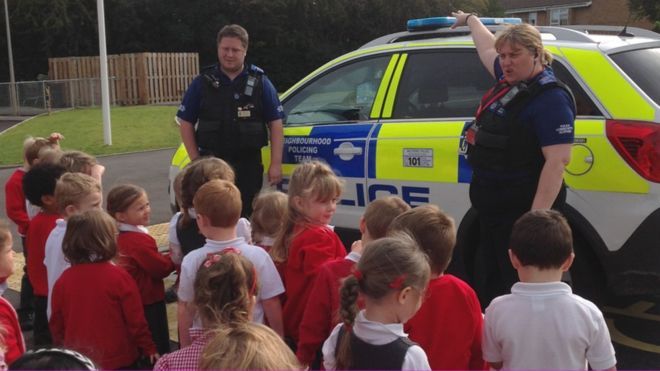 Police demonstrate their car and its multiple siren sounds to British schoolkids. The hilarious musings by the school’s headmistress will have you thinking a British education doesn’t sound so bad. “The school’s headmistress had ‘officially put it out there’ that it was actually a wah-wah. 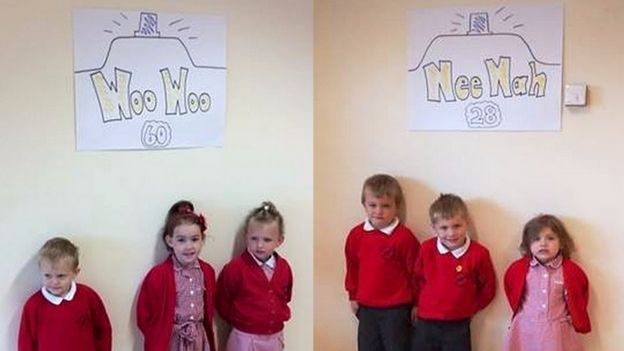 But following a vote at the school earlier, it was announced that ‘woo-woo’ was the winner by 60 votes to 28. That Ms. Muckleston is a saucy one! Have a terrific—and a woo-woo—weekend. My kingdom for an earplug: Polling closed, young Britons stand beneath their selected siren sounds.